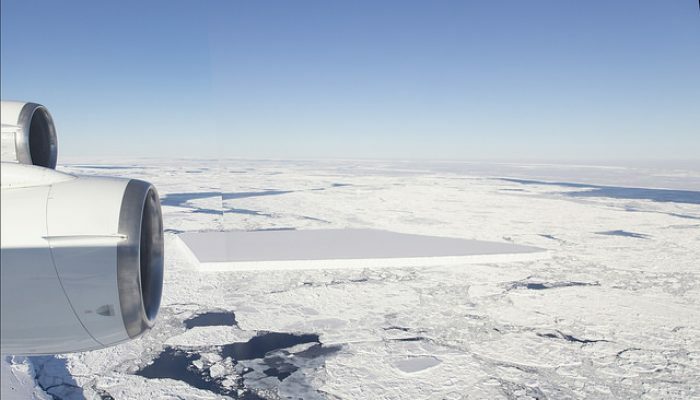 In 2018, NASA’s Operation IceBridge captured this image of a tabular iceberg off the coast of the Antarctic Peninsula, leading to a flurry of media excitement. In this blog post, we’ll look at some of the other big scientific discoveries of 2018 in the field of cryospheric sciences [Credit: NASA / Jeremy Harbeck, CC-BY 2.0]. Every year, humanity understands more and more about a remote and unforgiving component of the Earth system – the cryosphere. 2018 has been no exception, and in this blog post we’ll take a look at some of the biggest scientific findings of cryospheric science in 2018. We will then look forward to 2019 and beyond, to see what the future holds for these rapidly changing climate components. In 2018, the IPCC (Intergovernmental Panel on Climate Change) released their report that looked at the impact of 1.5 and 2.0°C of global warming by 2100 on the Earth system. In the Arctic, warming is already in excess of 2.0˚C, driving a very strong decreasing trend in the summer sea-ice extent. The IPCC suggest that sea-ice-free summers will occur once per century at 1.5°C, but this increases to once per decade at 2.0°C. Limiting warming to 1.5˚C will also save 1.5-2.5 million km2 of permafrost thaw (preventing the release of ancient carbon into the atmosphere), 10 cm of sea-level rise contribution from ice sheets and glaciers, and reduce the risk of the irreversible collapse of the ice sheets. 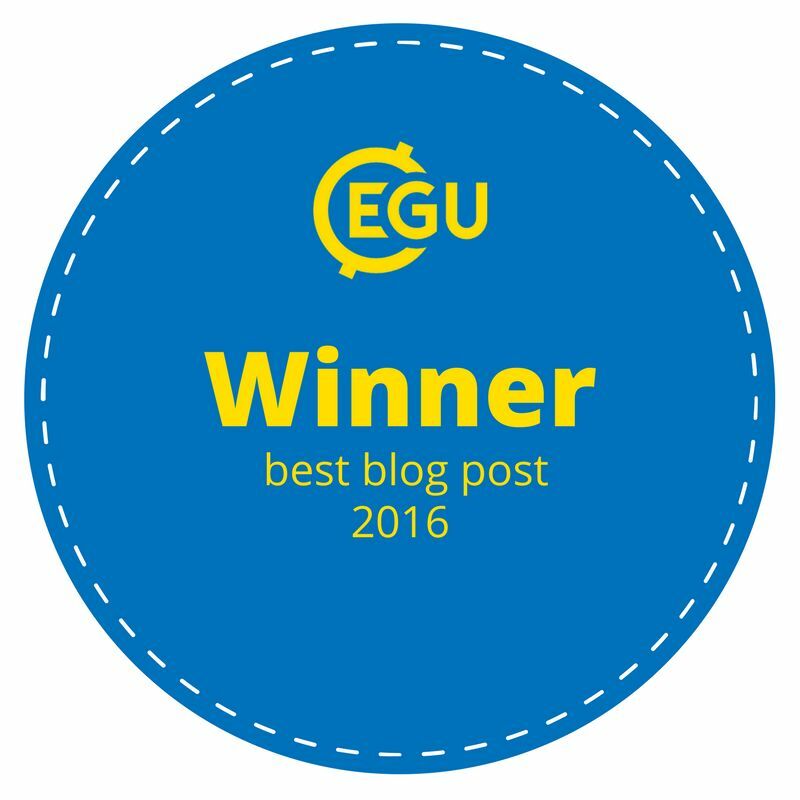 Read more about the cryosphere under 1.5°C warming in this previous post. Compiling 24 independent estimates of mass balance, from a number of different remote sensing and modelling techniques, the IMBIE team produced the best estimate of how Antarctica is responding to continued climate warming. The mass balance refers to the net change in ice mass, accounting for all of the inputs and outputs to the ice. They quantify that ice mass loss from West Antarctica has increased three-fold between 1992 and 2017, largely due to melting from a warmer ocean. On the Antarctic Peninsula, the collapse of ice sheets has led to an increase ice mass loss by a factor of 4. East Antarctica is gaining mass slightly, although this is highly uncertain, by 5 ± 46 billion tonnes per year. Overall, Antarctica has lost 2,720 ± 1,390 billion tonnes of ice in this 25-year time period, and this mass loss is accelerating. Read more about these results in this previous post. Mass loss from the Antarctic ice sheet is accelerating, largely due to ocean warming impacting West Antarctica. 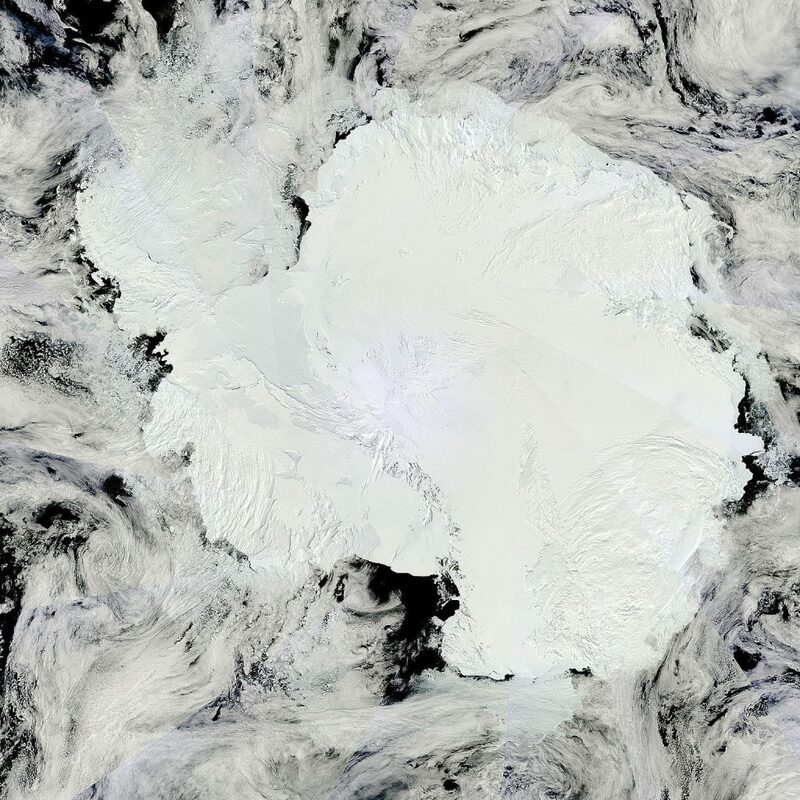 East Antarctica is very slightly gaining mass, but this doesn’t go anywhere near balancing out mass loss across the continent [Credit: NASA Goddard]. It’s easy to think of the cryosphere as a pristine, beautiful, untouched landscape. However, research from 2018 has shown us that the remoteness of Polar Regions has not protected them from man-made pollution. In one litre of melted Arctic sea-ice, 234 particles of plastic and over 12,000 particles of microplastics were found, which will only go onto adversely impact Arctic wildlife by spreading through the ecosystem. Radioactive material from the Chernobyl accident has also been found to be concentrated in dark sediments found on Swedish glaciers. As these glaciers melt, this concentration of radioactive material may be released in meltwater. In Greenland, lead pollution found in ice cores has provided exciting new insight into wars, plagues and invasions during the Roman Empire. In 2018, we saw a glimpse of the geological secrets that Greenland hides beneath its ice sheet. However, there is still a hidden world that future field-based campaigns or airborne radar missions will help to unravel [Credit: NASA Goddard]. 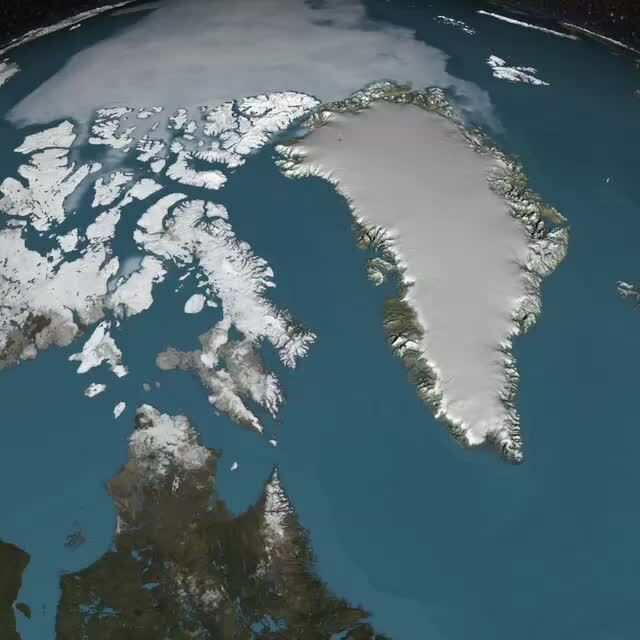 What secrets is Greenland hiding? In 2018, we got our best ever look beneath the Greenland ice sheet. Scientists from the British Antarctic Survey and NASA found that the hotspot (a thermal plume in the Earth’s mantle) currently under Iceland was once beneath Greenland, between 80 to 50 million years ago. This hotspot was discovered by studying the magnetism of minerals beneath the ice. Using airplanes, radio waves and sediment that’s washed out from underneath the ice sheet has also revealed a massive 31 kilometre wide meteorite crater underneath Hiawatha glacier. Given it’s beneath three kilometres of ice, the age of this crater is unknown, but given the interest and speculation in connecting this event to an abrupt cooling period 12,000 years ago (the Younger Dryas), we may know very soon. Satellites remain one of the most popular methods of monitoring the vast, hostile cryosphere. In 2018, a new generation of earth observation missions launched. ESA’s Sentinel-3B continues the Copernicus programme, monitoring the reflectivity of the ice, elevation and sea-ice thickness. NASA’s GRACE FO mission continues the successful first GRACE mission, which used gravimetry to ‘weigh’ different regions of ice. NASA also launched ICESat-2, which will provide global elevation data at unprecedented spatial resolution on a 91-day repeat orbit. Each satellite is being finely tuned to make sure it’s working exactly as intended, and we’ll get the first science from them in 2019. Stay tuned! On the ground, getting inside the ice will continue to provide fascinating insights into the history of the cryosphere – from reconstructing winds in sub-Antarctic islands using ice cores, to further insights deep inside the world’s highest glacier. As permafrost continues to thaw, we are likely to hear of more discoveries of woolly mammoths, ancient diseases and carbon release. The IPCC will also publish their special report devoted to The Ocean and Cryosphere in a Changing Climate, which will provide the best overall state of the cryosphere to date. And, of course, the infamously named ‘Boaty McBoatface’ will provide us with incredible data from beneath sea-ice and ice shelves when the RRS Sir David Attenborough is launched. 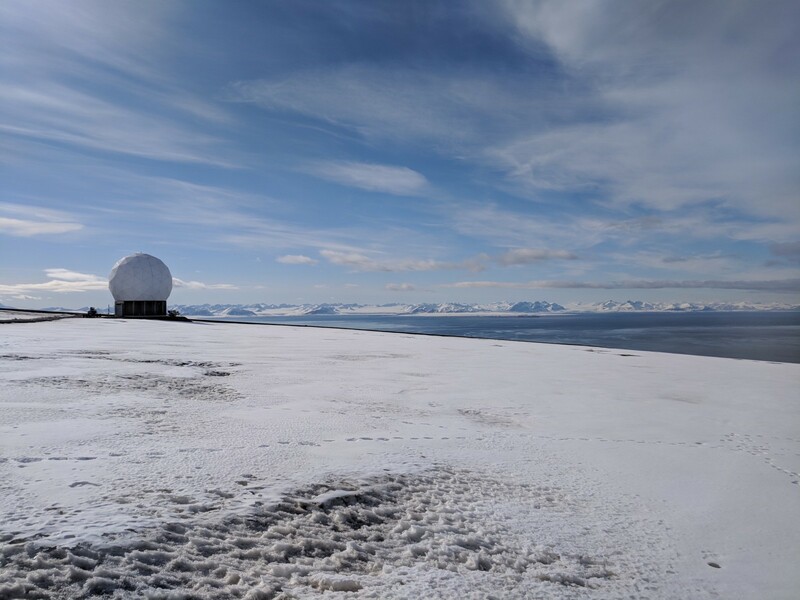 2018 has been a truly exciting year to be a cryospheric scientist, and 2019 looks set to be another hot one! 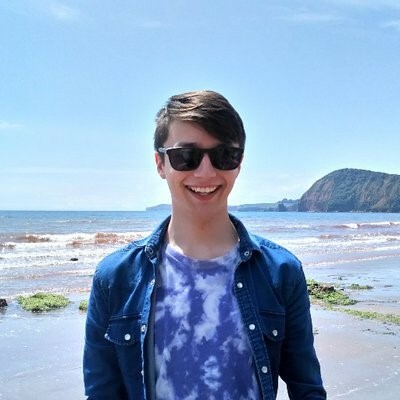 Liam Taylor is a PhD student at the University of Leeds and Centre for Polar Observation and Monitoring. His research looks at identifying novel remote sensing methods to monitor mountain glaciers for water resource and hazard management. He is passionate about climate change and science communication to a global audience, as an educator on free online climate courses and through his personal blog. You can find Liam on Twitter. Image of the Week – Geothermal heat flux in Antarctica: do we really know anything?